Christian community is an integral part of Indian society. With a small but significant demographic presence the community has its rituals and practices for marriages. Christian weddings are known for its sobriety and elegance. These weddings dont depict any sort of extravaganza. 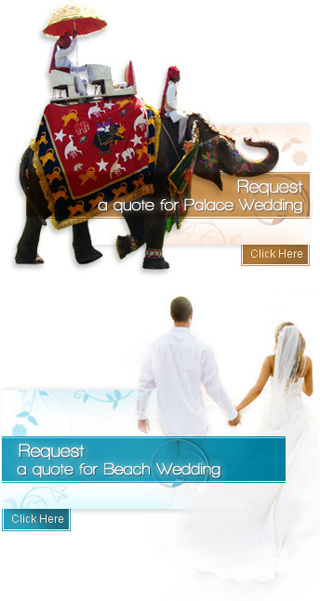 The wedding consists of pre wedding, wedding and post wedding rituals. These weddings are mainly solemnised in churches. Marriage as per the Christian faith is defined as the union between man and woman as ordained by God. This gained further legitimacy when Jesus set forth his basic ideology on marriage by bringing together two important passages from Genesis. Jesus described marriage as a relationship, a union, so intimate and real that the two become one flesh. Husband and wife are of equal value, in effect they are one. All major Christian groups accept marriage as normal and proper. Christian weddings are supposed to be held in the midst of all. Even the Bible describes a marriage as ordained by God and an occasion for joy. Different sects in Christianity have different views on marriage. They prescribe different conditions for couples to get married or not. They have different rules for when a person should get married and what must the motivation be. Like other Indian religious weddings , Indian Christian wedding too is a great occasion. It is spread for many days and begins with an engagement ceremony . Some of the customs are similar to a Hindu Weddings, like on the eve of the wedding Haldaat ceremony takes place in both the brides as well as the grooms house . This particular ceremony relates to applying the paste of tumeric and sandle wood on both the bride and the groom. Haldaat ceremony is prominent among the North Indian Christians. Among the Christians of Western India like in the State of Goa. The haldaat ceremony of North India is known as Ross . Instead of tumeric and sandle wood paste , the coconut paste is applied on both the bride and the groom . The Christian wedding takes place in the church and is officiated normally by the Parish Priest . Traditionally, the brides father walks down with the girl towards the altar, while the bridegroom waits there patiently. The bridegroom is escorted by his best man while the bride has her maid of honor throughout this ceremony. The priest accepts the marriage vows of both the groom and the bride . One of the questions which the priest asks both the bride and the groom individually is "Do you take ___ as your lawful wife/husband, to have and to hold, from this day forward, for better or for worse, for richer or for poorer, in sickness and in health, to love and cherish until death do you part?" The Bride and the groom individually answer "I do" Bride/Groom: "I take this ring as a sign of my love and faithfulness in the name of the father, the son and the holy spirit." The Christian wedding ceremony is complete and the holy union is bound by law and a promise to God. The Christian wedding ceremony is followed by the cutting of the wedding cake. The guests eat food and drink wine and wish all happiness to the couple. There is live band which plays English , Hindi and regional songs . The Guests have a great time dancing and singing.